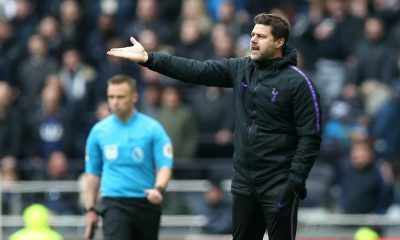 Mauricio Pochettino made several changes to the Tottenham side as they faced Huddersfield in the Premier League. The boss had one eye on the Champions League tie against Manchester City in midweek and his options were limited due to several injuries. 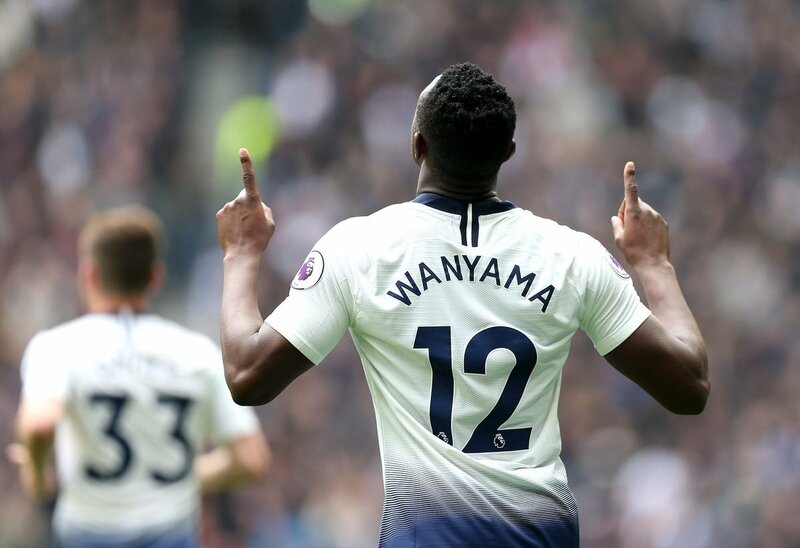 Eric Dier and Harry Winks were unavailable for this clash and it saw Victor Wanyama starting against the relegated side. The Kenyan had a couple of Premier League starts under his belt this season but he came up big in the win. 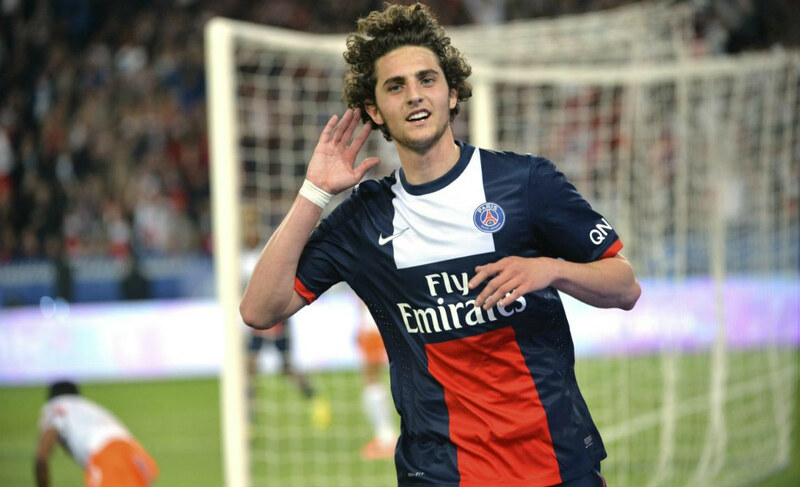 The 27-year-old might not have scored a hat-trick like Lucas Moura but he scored the first goal of the game. Ben Davies played a great ball into the feet of Fernando Llorente. The Spaniard flicked it to the onrushing Wanyama. The Kenyan skipped a challenge from a Huddersfield player before showing some quick feet and rounding the keeper. Wanyama scored into an empty net, his first goal of the season. The former Southampton man has had his injury troubles this season. 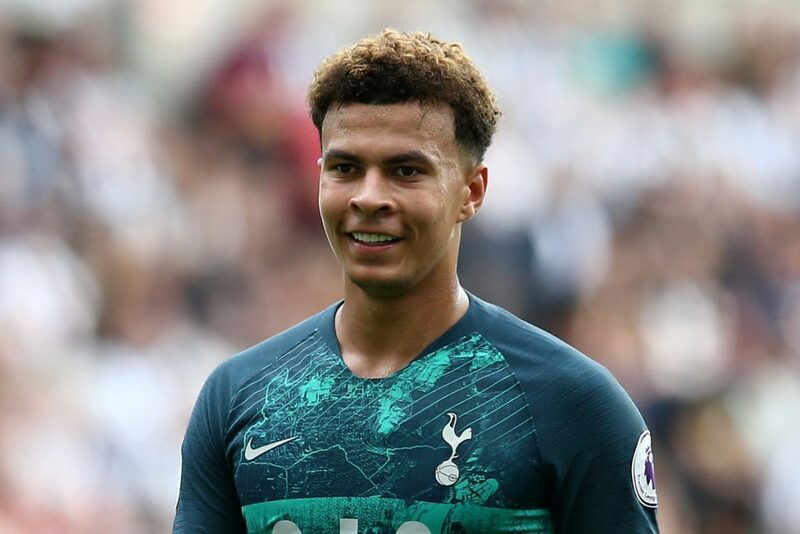 However, he did a decent job in the game for Spurs and proved he can be a decent option when we play the lesser sides, no offence meant to Huddersfield. The 27-year-old still needs more minutes on the pitch to sharpen up but many fans were surprised at the quality of his finish. Here are some of their reactions from Twitter. Ditching a corporate job to follow a dream isn’t easy, but when football comes calling, who can say no? Been following the beautiful game since 1998. Tottenham are weighing up a move for Leicester City midfielder Youri Tielemans, reports the Daily Mirror (h/t Leicester Mercury). Youri Tielemans, 21, has impressed since joining Leicester on loan from Monaco in January, with Adrien Silva heading in the opposite direction. Leicester are keen to strike a deal but there’s no buy clause in the loan agreement, so the Foxes have to strike a separate deal and may have to splash around £40m for his permanent signing in the summer (h/t Leicester Mercury). Tottenham have been linked with the Belgian midfielder as Mauricio Pochettino looks to bolster his midfield options but the Daily Mirror (h/t Leicester Mercury) claims that Manchester United are serious contenders too. With 2 goals and 4 assists in his 10 Premier League appearances, Tielemans has shown enough promise to suggest that he could be the answer to Spurs’ midfield conundrum. Spurs sold Dembele to Chinese Super League side Guangzhou R&F in the January transfer window as his contract was set to expire in the summer. But Mauricio Pochettino didn’t bring in a replacement throughout the winter transfer window, meaning we have now failed to sign a single player since Lucas Moura joined the club in January 2018. 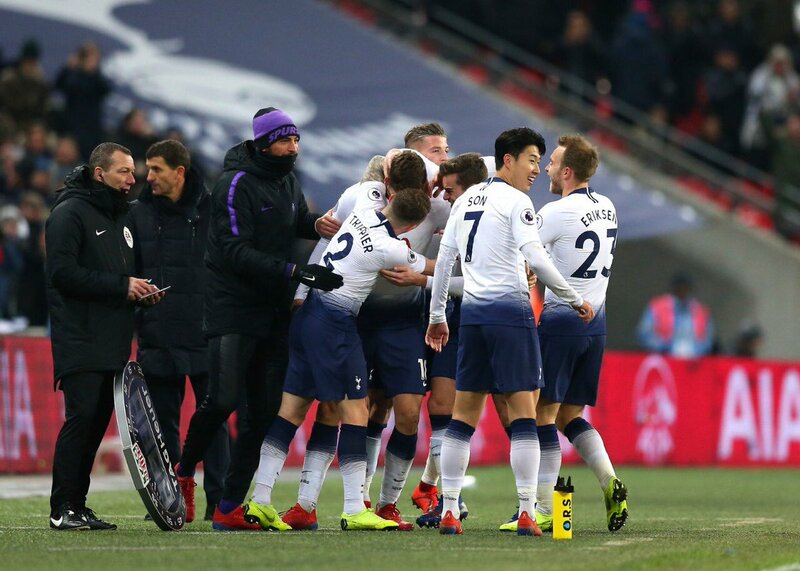 Even though Pochettino has done an excellent job so far this season despite signing no players in the past two transfer windows, we cannot ignore the fact that our squad needs bolstering in the summer. 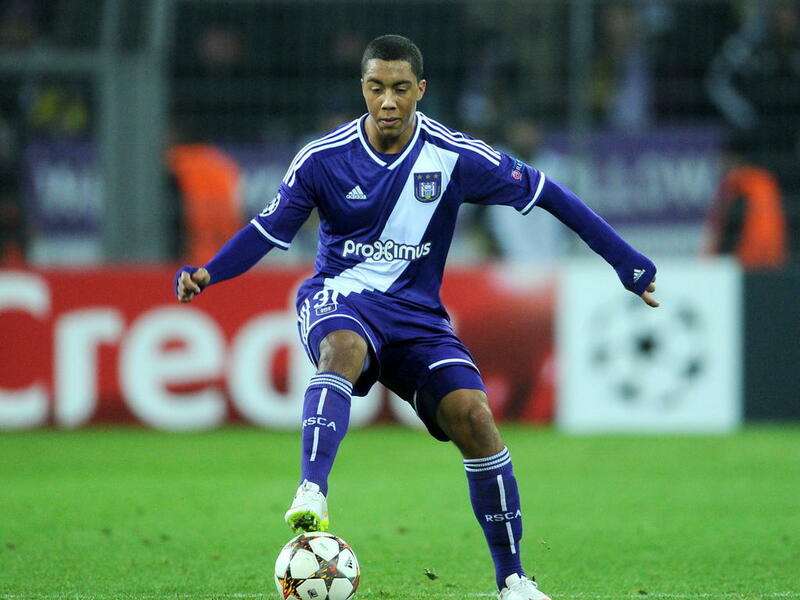 At 21, Tielemans has already given a glimpse of his qualities at Leicester City. He’s been a revelation for the Foxes since his arrival. 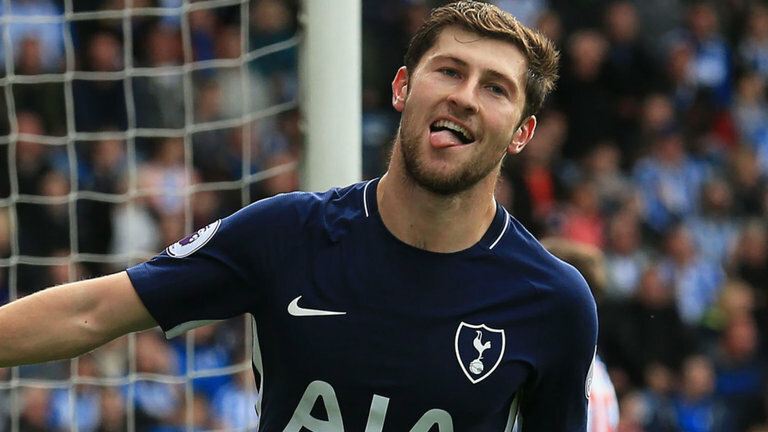 The Belgium international may not be a world-class name that Tottenham fans really want to see this summer but he has the potential to become a world beater. 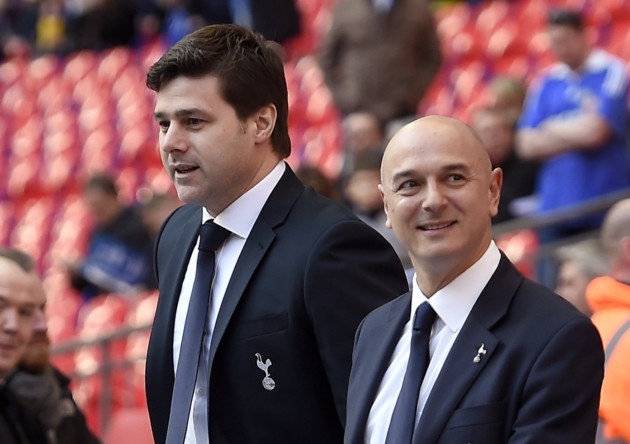 Without any second thoughts, the youngster has to be high on Pochettino’s summer wishlist. Tottenham Hotspur and Manchester City faced off for the third time in the space of ten days this afternoon, with City emerging victorious on this occasion, thanks to an early goal from Phil Foden. The 18-year-old’s goal in the fifth minute was enough to decide the match, despite Tottenham creating numerous chances to equalise and maybe even take a lead. The game lacked the goals of the midweek clash but there was still plenty of incident, with both sides having numerous chances. In the end, City were grateful to have a solid performance from Ederson, who made some key saves to deny Son and Moura. 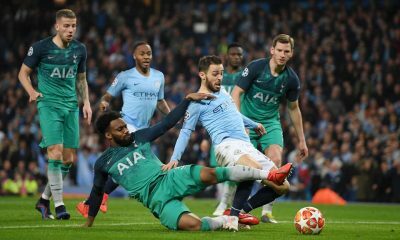 City did have chances to extend their lead – Sergio Aguero’s effort blocked at close-range by an excellent Toby Alderweireld and Raheem Sterling was kept out by Paulo Gazzaniga’s outstretched leg. The hosts’ looked twitchy in the final 15 minutes of the game as our gaffer threw Llorente on the field. Before Llorente came in, Moura had a good chance to make it 1-1, only for his low shot from the right angle to be blocked by a combination of Stones and an onrushing Ederson. Despite all the pressure in the final 10-15 minutes of the game, where City were constantly pinned back, we eventually didn’t do enough in front of goal. Defeat at the Etihad means we stay in third but could be in fourth if our north London rivals Arsenal win tomorrow against Crystal Palace. After the 1-0 loss to City, here’s how our fans reacted on Twitter. We knew we’d probably lose this today, win the next 4 and we’re in the top 4, it’s still in our hands, come on you spurs! I think it was a good thing to do this much even though there were many injured players! Outstanding effort. Given the chances we had we might have got something from the game. More of this next week and we’ll be fine. Phil Foden scored his first Premier League goal as Manchester City claimed a crucial 1-0 win over Tottenham to regain top spot in the table. The 18-year-old became City’s third-youngest Premier League goalscorer as he headed home after just five minutes of a tense clash at the Etihad, three days after we dumped them out of the Champions League. The victory took City back above Liverpool, but at the cost of another injury to Kevin De Bruyne, who limped off with what looked like another knee problem before half-time. As far as Spurs are concerned, we remain third in the table but could be fifth by tomorrow if Arsenal win their game against Crystal Palace. Looked shaky in the initial moments of the game before settling down gradually. Produced a fantastic block with his foot to deny Sterling at 1-0. Alderweireld was solid and made an excellent block to deny Sergio Aguero at the start of the second half. Replaced in the final few minutes by Fernando Llorente. Lost Aguero for the crucial opener as the Argentine ghosted behind him before heading to Foden for a simple header. However, he redeemed himself with some last-ditch defending to keep the hosts’ away from scoring more than one. Lacked pace to cope up with the City attackers and was lucky to stay on the pitch for the entire game. Solid but unspectacular. Started shakily in his unusual position at right wing-back as Sterling gave him a torrid time. Settled well gradually before putting in a good display. Looked rusty which is usual after returning from an injury. Just couldn’t control the proceedings from midfield and was replaced at the hour mark. Alli produced some really delicate footwork to bamboozle the City players. Did well from a deeper role in midfield. Couldn’t keep up with the trickery of the nimble-footed Bernardo Silva, who enjoyed an excellent game. Eriksen produced some gorgeous through balls which sadly our players couldn’t capitalize. He was denied by Ederson inside the first 15 minutes where he could have done better. Worked his socks off throughout the game and was really unlucky with his chance in the closing stages as Ederson denied him a certain equaliser. 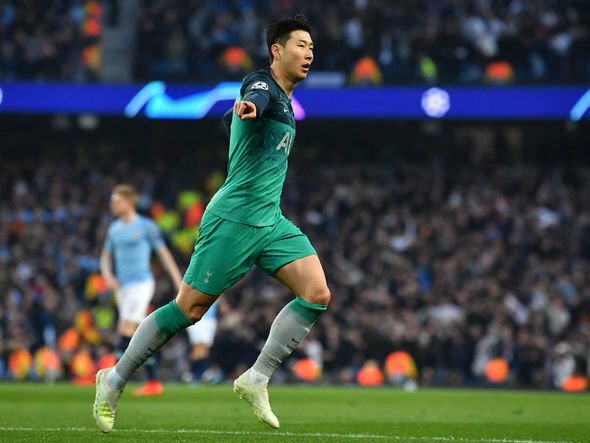 Son was once again a thorn for the hosts with his movement and pace. Had two good chances to score but was denied by Ederson and Laporte. Worked extremely hard but without any reward. Added a lot of physicality and steel to the midfield which Spurs lacked earlier. Replaced Alli to take a place in central midfield. Fluffed a shot wide when he should have at least hit the target from outside the box. Replaced Alderweireld but couldn’t make a telling impact once again at the Etihad. 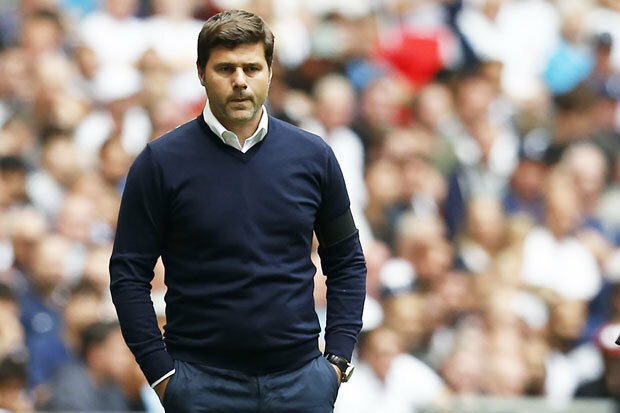 Tottenham are preparing to face Manchester City for a second consecutive game in a week. 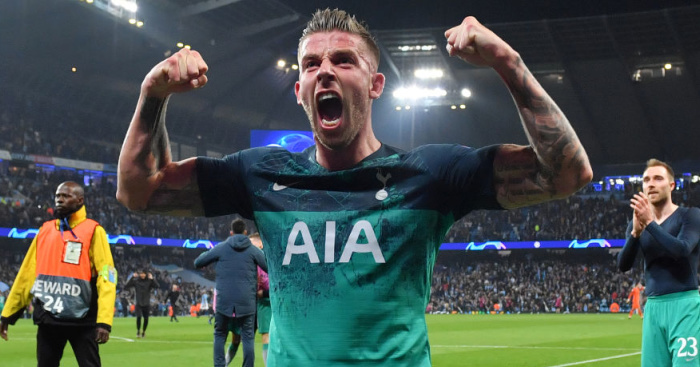 Spurs progressed to the semi-finals of the competition on Tuesday in dramatic fashion against Manchester City. Despite a 4-3 loss at the Etihad Stadium, we advanced 4-4 on away goals, with Raheem Sterling’s last-gasp goal disallowed after a VAR review. Having knocked out City from the Champions League, we have a glorious opportunity to now dent Pep Guardiola’s title hopes on Saturday. Also, with a win at the Etihad in the Premier League, we ourselves will solidify the top four hopes. And in the pre-match presser against City, Pochettino explained he wants to finish the season in the top four. Spurs have few injury problems ahead of the game, with Moussa Sissoko set to miss after hobbling off against City in the Champions League, while Harry Kane has commenced his rehab on his ankle injury. Meanwhile, Erik Lamela remains out with a hamstring problem. 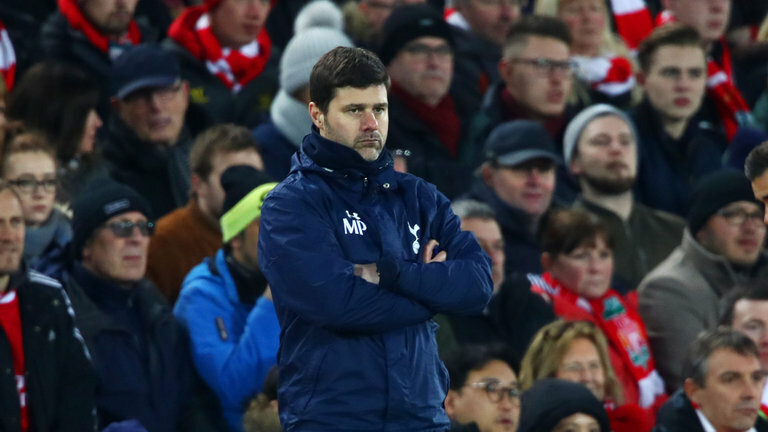 Pochettino has said he could field some fresh faces on Saturday after such an exhausting Wednesday night in the Champions League. “City have an unbelievable squad, they can change and rotate the starting 11 and keep the same level on the pitch,” he added. “With all the circumstances and some injuries, maybe we need to think about playing with younger players, not without experience, but with plenty of energy and keeping the same ideas – to be brave and try to compete. 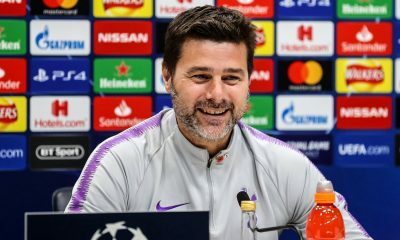 Pochettino deserves immense credit for the fact that Tottenham have been able to make it so far in the Champions League. Having not spent a single on improving our team this season, he has managed to keep the squad motivated throughout the campaign. And that has been key to the team staying in the hunt for the trophy this season.